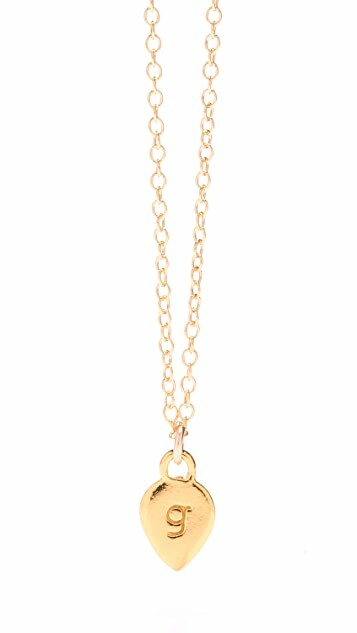 This 18k gold-plated chain necklace features a letter-embossed petal pendant. Ring clasp. 17.5" long. Super cheap! It ceased and broke off after 1 week of purchasing it without any apperant reason! Just suddenly! 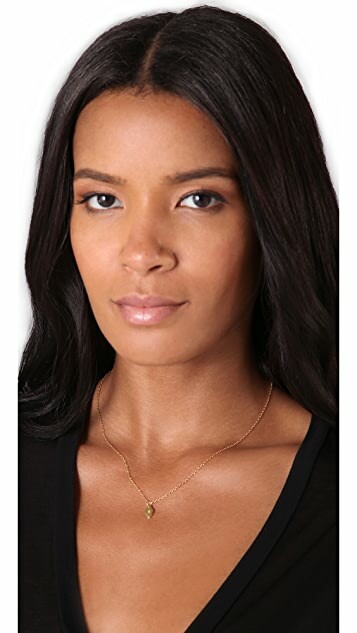 Love this necklace, good price and good for daily use, also nice layered with other necklaces. I have had this necklace for several years now and it is honestly probably my favorite necklace, it is very delicate and I can wear it with just about anything. I always have people asking me where I bought it bc it is the perfect dainty, everyday necklace. I would highly recommend this, it makes for great gifts as well bc it's not terribly expensive but is a nice quality. I cherish this and wear it every day. It is so simple and clean. Love it. I brought this as a gift for a friend and think it's great. It is a delicate chain & charm, but doesn't feel too flimsy in my opinion. For the price & apparent quality I think it's the perfect birthday gift! My only gripe is that it comes in a shopbop box; I would much rather it came in a box or pouch from the designer. I thought the charm on this necklace would be a little bigger. I wanted to remove the charm and put it on a longer necklace but it cannot be removed. Its a cute little necklace, and I kept the purchase in the end, but was not completely satisfied with it. So gorgeous! Small but totally noticeable! Gorjana you've done it again! Love it! Great gift for a girlfriend !!! Feminine, delicate, the little touch of gold around your neck... Very cute !